Getting started with any new sport can be challenging, but knowing a few of the basic terms and rules will only make the game more fun. 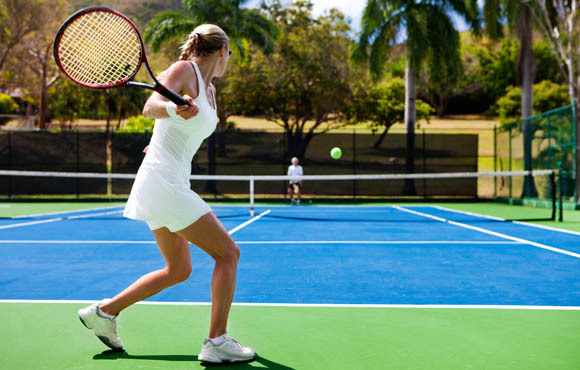 Learn about some basic tennis strokes with these tips from United States Professional Tennis Association pros. You can remember this tennis term by thinking of a similar sport with a net: volleyball. A volley in tennis applies to a player hitting the ball back over the net before it touches the ground, just like in volleyball. "The key to hitting a good volley is to move your feet towards the ball, keep your racquet face above your wrist and block or punch the ball," Heebner says. "My favorite saying is volley with your happy feet." 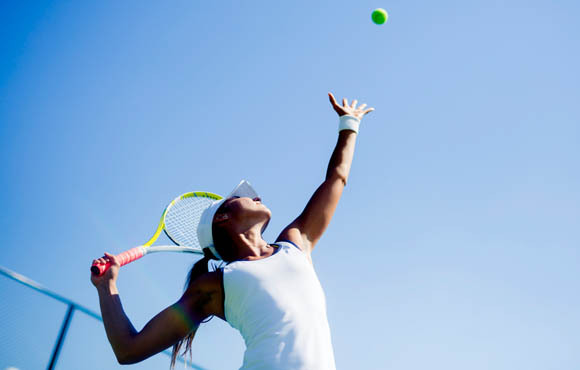 If the tennis ball soars too high to apply your new forehand or backhand techniques, consider using an overhead stroke. Peters and Heebner both give helpful advice on this stroke for young beginners. "[This is the] same swing motion as a serve; the key is to get your feet set under the ball," Peters says. "Don't let the ball get behind you or too far in front of you." "When trying an overhead, turn sideways and [put your] arms up in one move," Heeber says. "Next, pretend you're going to catch it with your non-dominant hand extended up to the sky and then reach up and hit the ball." Focus on having fun instead of whacking the ball as hard as possible. "My saying in tennis is: 'It's easy to hit hard, but it's hard to hit easy,'" Peters says. 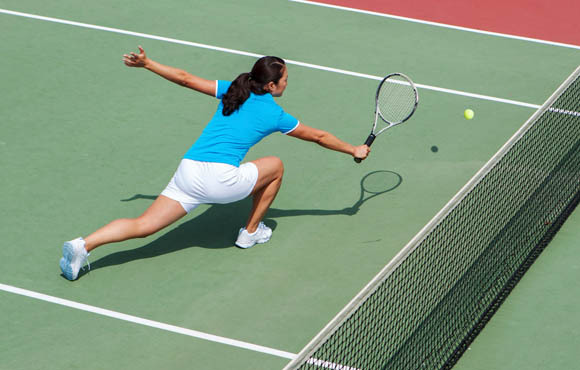 With the right form, you'll be on your way to friendly tennis competitions in no time. Begin the game (or turn) by serving the ball over the net. Players should stand behind the baseline on the right for the first serve and alternate sides (left and right) of the line each turn. "The hardest part is the toss of the ball," tennis pro Joel Peters of Houston says. "Work on keeping the toss in front of you and toss at 1 o'clock for right handers and 11 o'clock for lefties. As for the swing, swing like you're throwing a baseball or football. 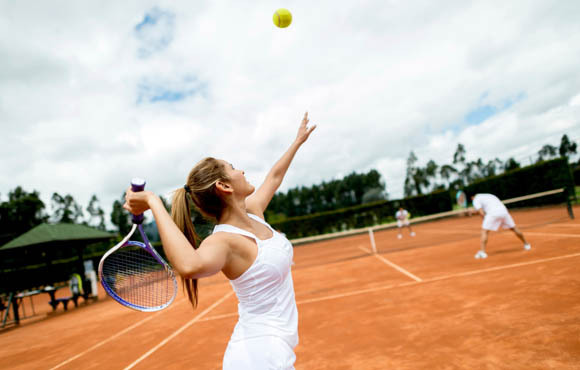 Drop the racquet behind your head and throw your arm like you're throwing a ball." The most basic stroke can be perfected with some fin-tuning. 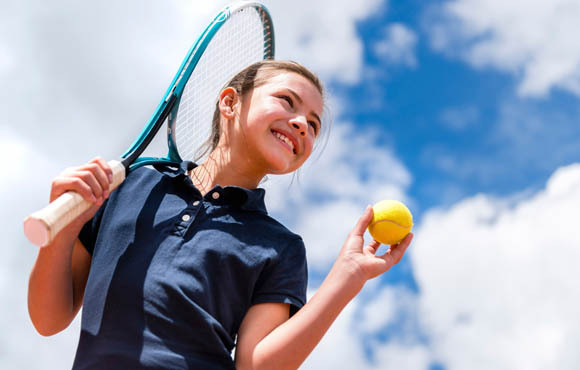 Tennis Pro Jim Heebner of Menlo Park, CA, offers this forehand drill for young tennis beginners. "Turn sideways and [bring your] racquet back waist-level at the same time," Heebner says. "Next, drop the ball towards the net, step forward, swing with your hips and follow through above your opposite shoulder." 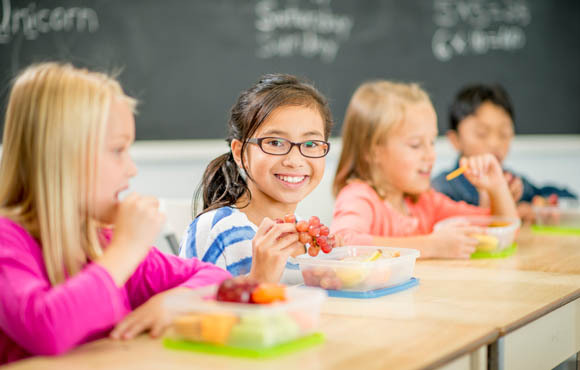 Repeat with a friend or parent on the court, then try out your skills during a friendly match. 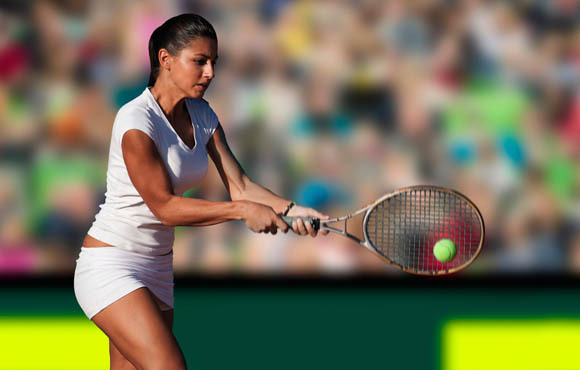 Once you've got your forehand swing down, it's time to try the backhand. Heebner suggests starting with both hands on the racket to build your control and form. "When you're learning backhand, I highly recommend starting with two hands," Heebner says. "Keep your hands close together and don't let go. Remember, swing low to high and you're on your way." For both forehand and backhand, Joel Peters also notes to always start with your racquet low and finish over your shoulder on the swing.